The Maternity Nursing Audio Series addresses concepts specific to the childrearing family where the focus continues to be on the family-centered approach to nursing care with a greater depth for understanding of nursing role. The nurse’s responsibilities as a provider of care, manager of care, and member within the discipline of nursing, all which assist the client to progress toward wholeness and the need of client teaching, critical thinking, communication and pharmacology are explored. This 4 hours Comprehensive Lecture Series with illustrations series explore detail anatomy, physiological and pathophysiological background of disorders and condition before getting into therapeutic interventions. This innovative package of Maternity Nursing cd is designed to help schools of nursing to improve their NCLEX pass rate for their graduating students by giving them tools to prepare and review the subject matter more efficiently, rigorously and comprehensively in Maternity Nursing cds. Audio Lectures give students the technological edge as they review or prepare for their exams. The greatest benefit is that they provide the convenience of studying literally anywhere such as through your car stereo player, iPod, smartphone, MP3 player, PCs or tables. 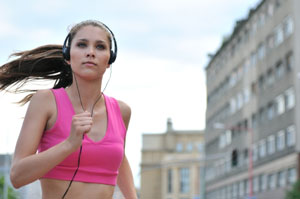 Using the latest MP3 technology, Audio lectures include study tracks which can be instantly Podcasted to your PC, using iTunes, and stored on any MP3 player or mobile device ready to access your lectures while driving, at the gym, in the library, restaurant, bus stop, at the park or when doing exercise.